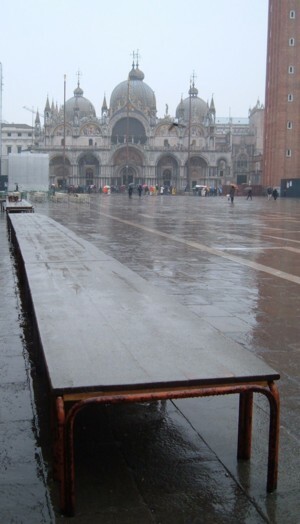 Venice itself is one large tourist sight, one of the most breathtaking in the world. Many travellers will be content to admire the views, to cruise along the Grand Canal, and to stumble upon hundreds of picturesque angles. If, on the other hand, you like visiting museums, churches and galleries, there are enough here to last you many weeks. If you want to 'do' everything that Venice has to offer, you'll find it a time-consuming and expensive business. There are different combinations of museum tickets and tourist passes, so if you have an idea of the places you want to visit, it's worth researching ways to save money on admission charges. The under-30s and over-65s are the lucky ones when it comes to saving money. The Venice Card, which comes in two brands, orange and blue, has different prices and offers for different age groups. These cards include public transport, but are not an amazing bargain; and are really only worthwhile if you plan to visit a great number of museums and public toilets(!). Read the information carefully, and if you decide you want the card, pay in advance online for discounts. Those aged 14-29 will find it worthwhile buying a Rolling Venice card, which costs just €4 and lasts until the following December. It entitles the holder to a 3-day travelcard for €18 (a good saving), and to significant discounts on most museum entry charges. You can buy the Rolling Venice card in tourist information offices, including the one at Piazzale Roma. The city museums, Musei Civici, which include the Ca' Rezzonico, Museo Correr and the Torre dell'Orologio, have a range of combined tickets. Again, it's worth reading the list of attractions included to work out what will represent the best deal for you. EU children, students and over-65s are entitled to reductions. > Gallerie dell'Accademia - collection of exquisite paintings by Italian masters. > Ca' d'Oro - the Galleria Franchetti is an art collection within the loveliest Grand Canal palazzo. > Peggy Guggenheim Collection - modern art in an unfinished Grand Canal palazzo. > Palazzo Fortuny - Gothic palazzo hosting exhibitions. > Ca' Rezzonico - Museum of the 18th century. > Palazzo Mocenigo - historic palazzo with 18th-century furnishings and costume exhibition. > Museo Storico Navale - naval museum with models and historic gondolas. Some churches are free to visit, others charge an admission fee. The Chorus Pass initiative covers sixteen of the admission-charging churches and is a combined ticket which is much cheaper than paying individually. Currently the price is €8, or €5 if you are a student under 29 or the holder of a Venice Card. There's a family ticket too, which costs €16. It is valid for a year, giving you extra time to complete the round of churches on your next visit, should you return. The churches belonging to the scheme all operate regular opening hours, staying open at lunchtime. They also provide information cards in English, and often have free lights for illuminating paintings. Other non-Chorus churches frequently have coin-operated lights, so make sure you have some euro and fifty cent coins in your pocket. > Santa Maria della Salute - Baroque curves on the Grand Canal. > Il Redentore (Chorus Pass) - masterpiece by Palladio, on the shore of the Giudecca. > San Giacomo dell'Orio (Chorus Pass). > Oratorio dei Crociferi - small chapel with paintings by Palma il Giovane. Limited opening times; small admission fee. > Torre dell'Orologio - the clock tower in St. Mark's Square, recently unveiled after restorations. > Campanile - the bell-tower of St. Mark's, with fantastic views over Venice. > Scala Contarini del Bovolo - an architectural curiosity: a pretty external spiral staircase. > Telecom Italia Future Centre - former religious cloisters, now home - when open - to exhibitions. 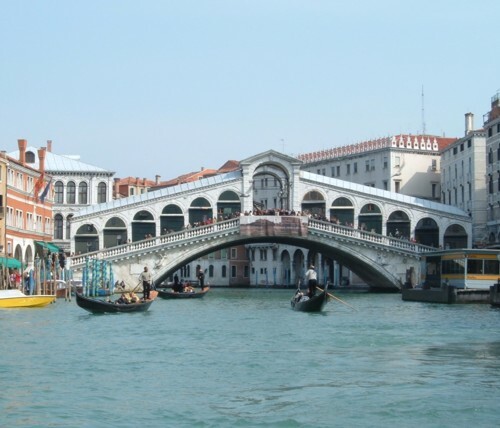 > Rialto Bridge - the famous stone bridge lined with shops. > Accademia Bridge - attractive wooden bridge. > New fourth bridge over the Grand Canal - controversial new bridge, informally known as the Ponte di Calatrava after its architect, officially the Ponte della Costituzione. > Rialto markets - buy fruit, vegetables and fish, or just admire the colourful stalls.